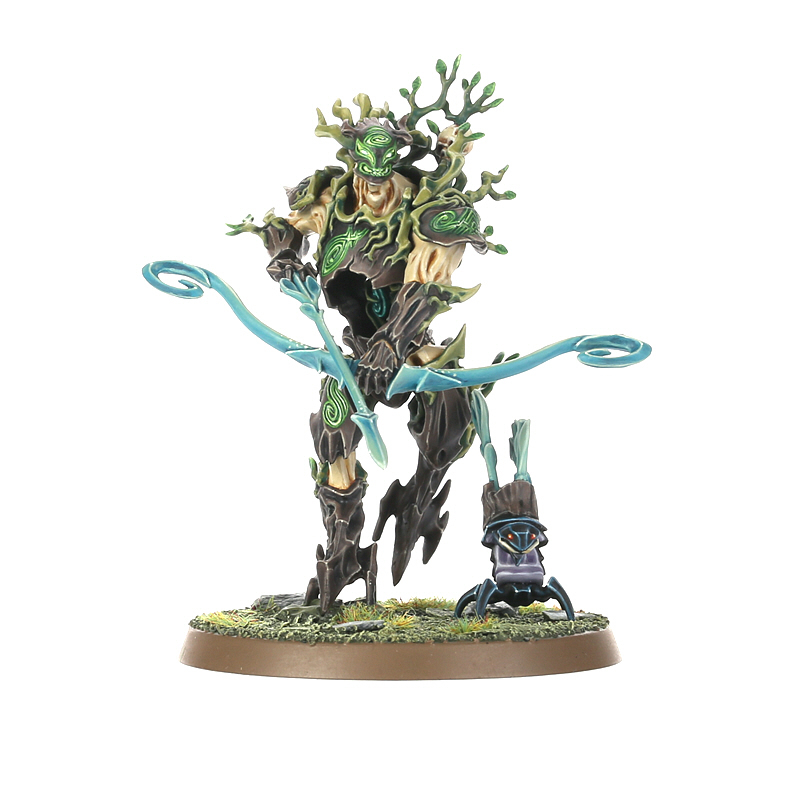 This week sees the return of the Sylvaneth. 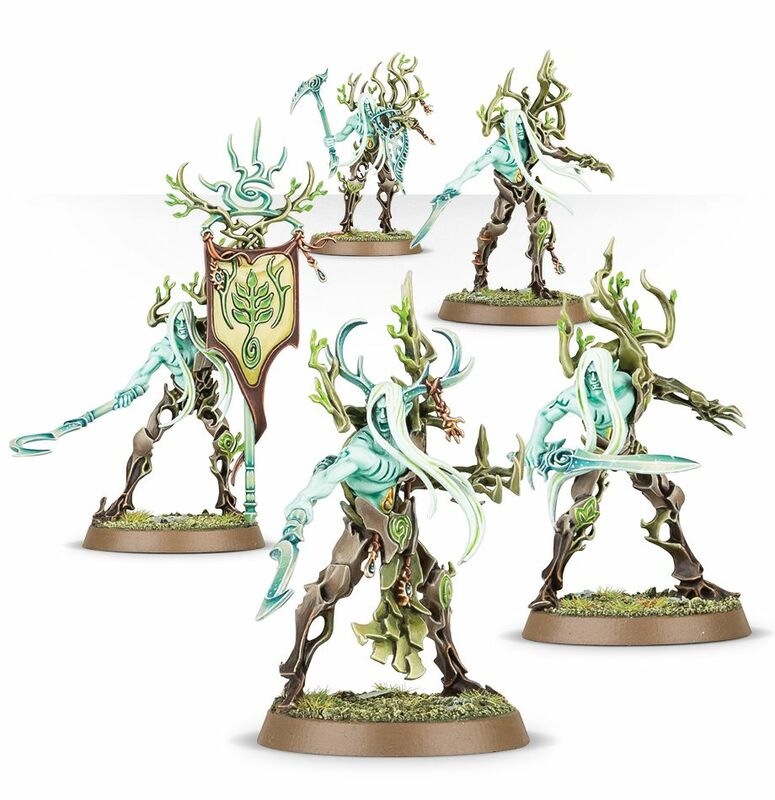 The Sylvaneth are the wildness and hunger of nature given form and we get no less than 4 new kits from GW. 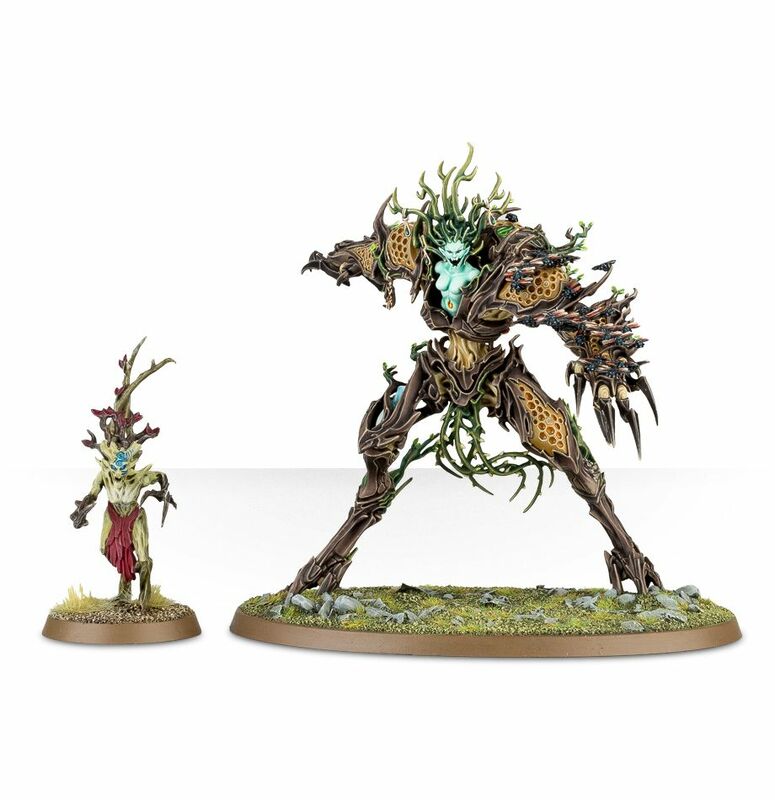 The release includes some amazing miniatures and Alarielle is definitely worth a good look. She is the goddess of life magic and rides a mighty wardroth beetle as she sets out to quell her vengeance. 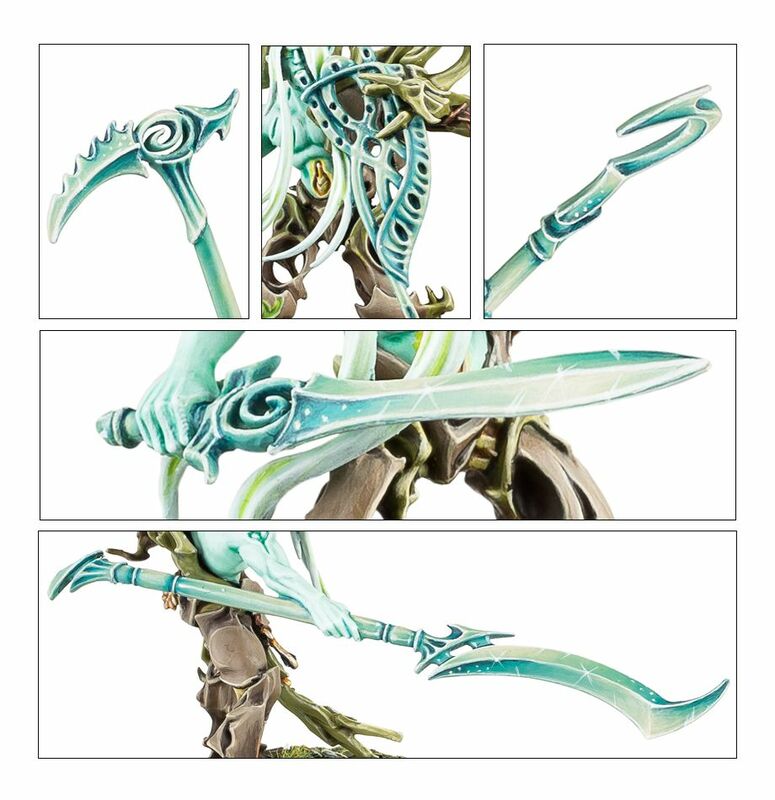 The plastic kit makes one Alarielle the Everqueen, on her wardroth beetle. She is armed with the Spear of Kurnoth and the Talon of Dwindling. The kit comes with a 160mm Round base. It costs £80 and can be ordered here. 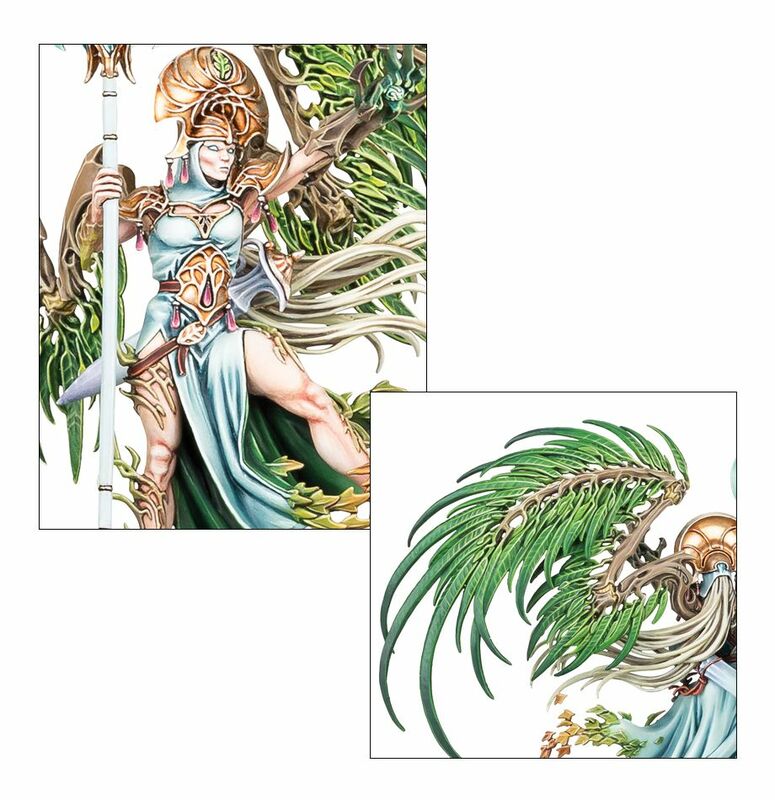 You can download her Warscroll here. The Everqueen has amazing healing abilities, but also pack a mighty punch with the help of the Wardroth beetle and some offensive magic spells. This is one amazing miniature, more images below! 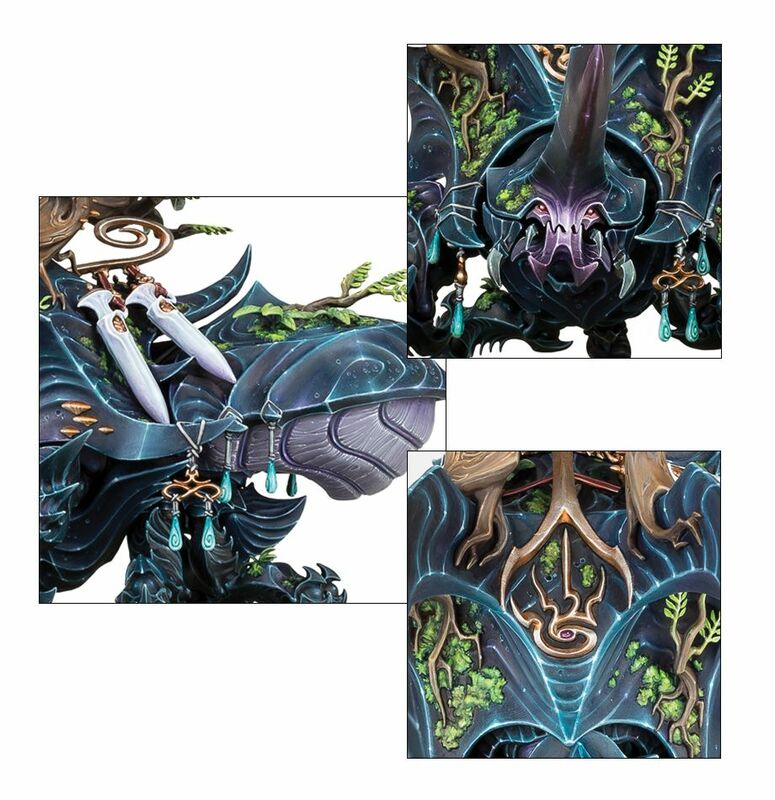 Drycha is the daughter of Alarielle and hates all who aren’t Sylvaneth. She suffers from uncontrollable rage and grief and embodies each in turn. 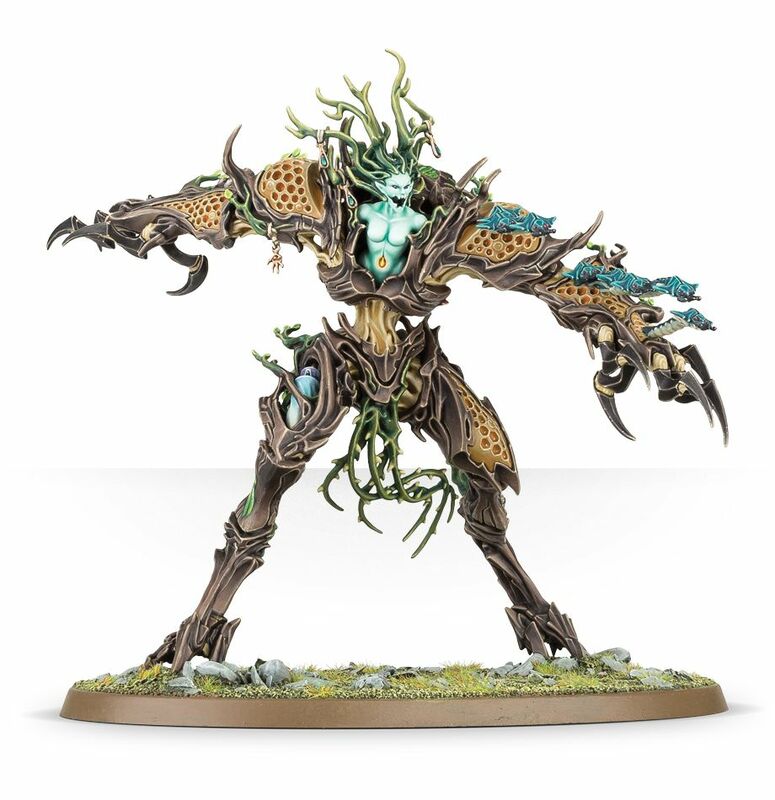 The kit makes one Drycha Hamadreth. Her body can either host a colony of Flitterfuries or a swarm of Squirmlings. She is armed with slashing talons and thorned slendervines. The kit includes 12 spites and a 105x70mm Oval base. The kit costs £35 and can be ordered here. You can download the Warscroll here. 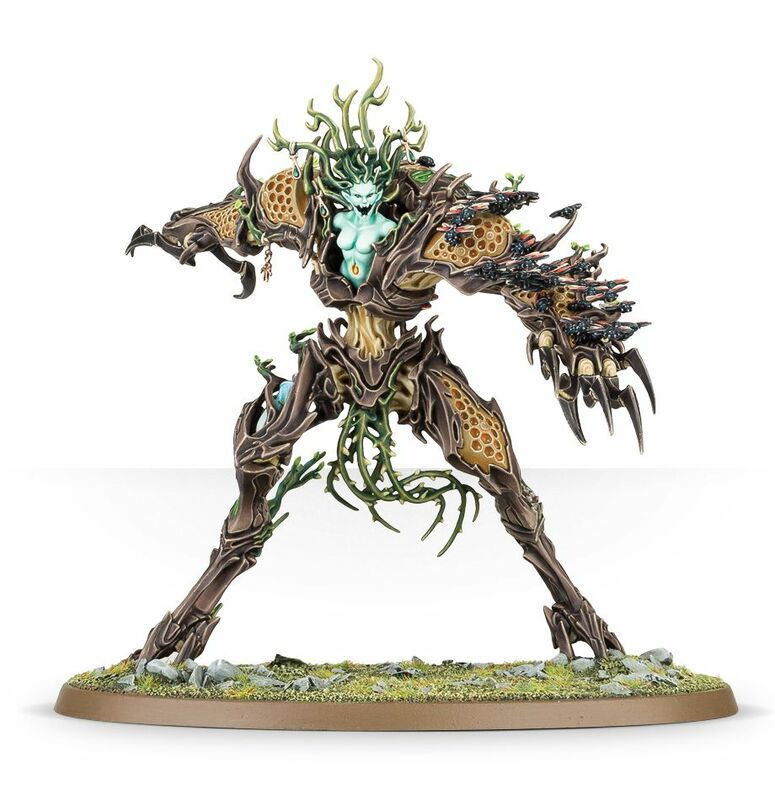 Drycha has rules for being enraged and embittered, can cast a dangerous howl and have the option of either hosting Flitterfuries or Squirmlings. 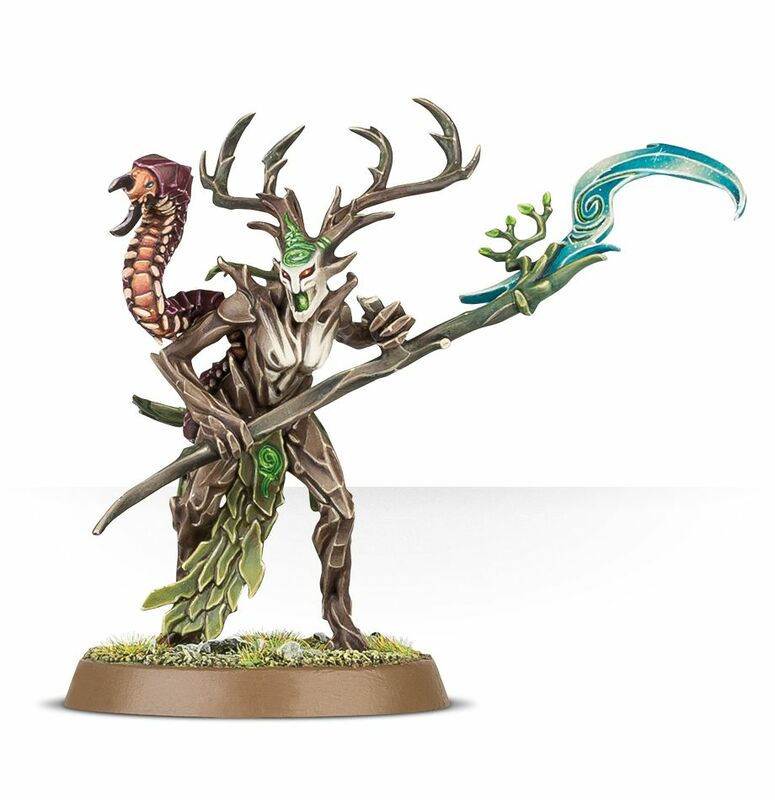 The Kurnoth are almost twice the size of Dryads and the Hunters have learned to wield sword, bow and scythe. 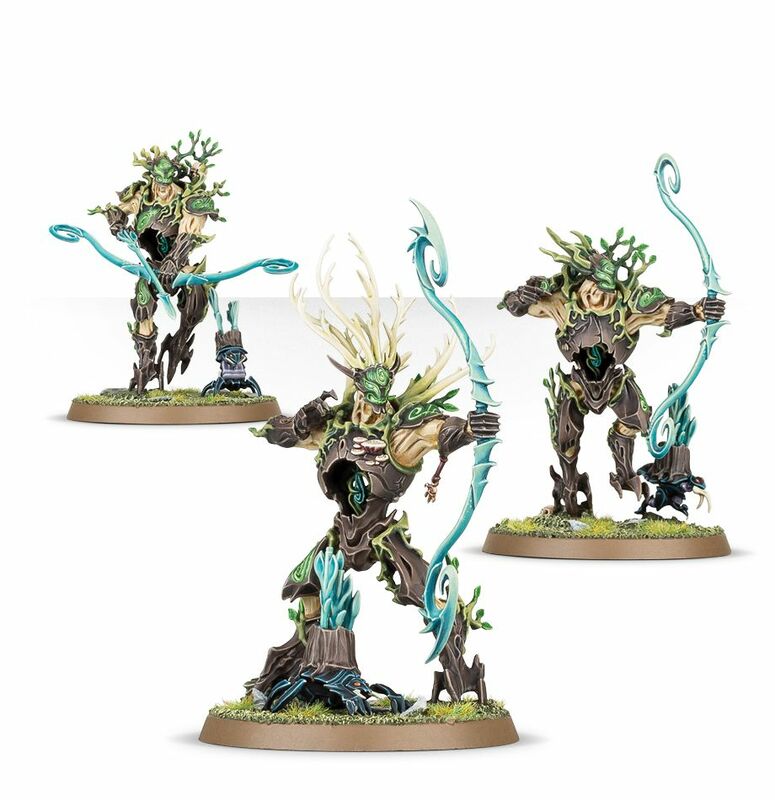 This kit makes 3 Kurnoth Hunters which can be armed with a choice of greatswords, scythes or greatbows. 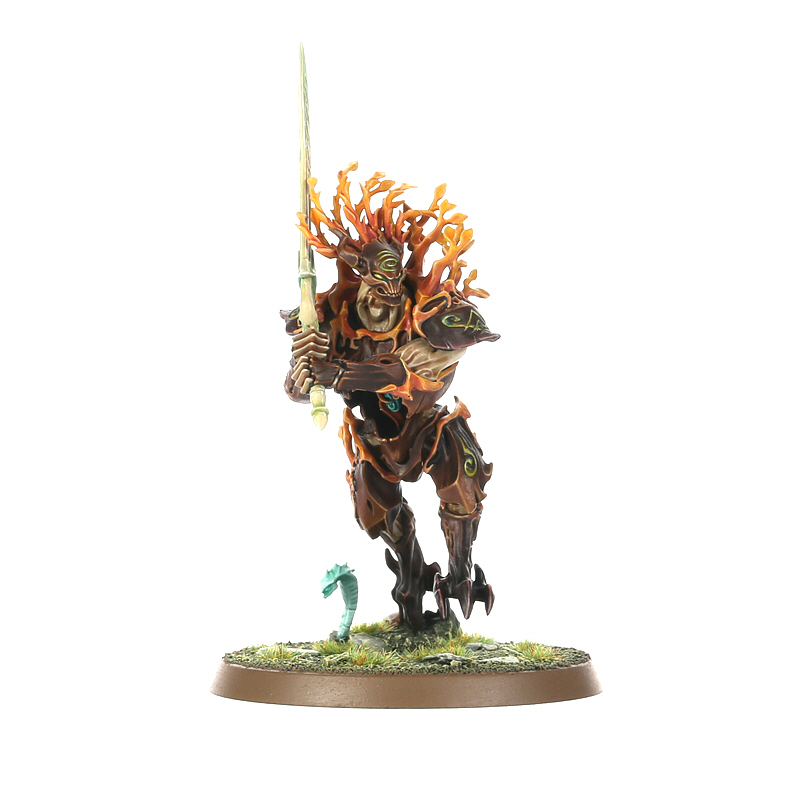 One model can also be made into a huntmaster, with a unique head and weapon. The kit comes with three 50mm Round bases. It costs £35 and can be ordered here. You can download the Warscroll here. 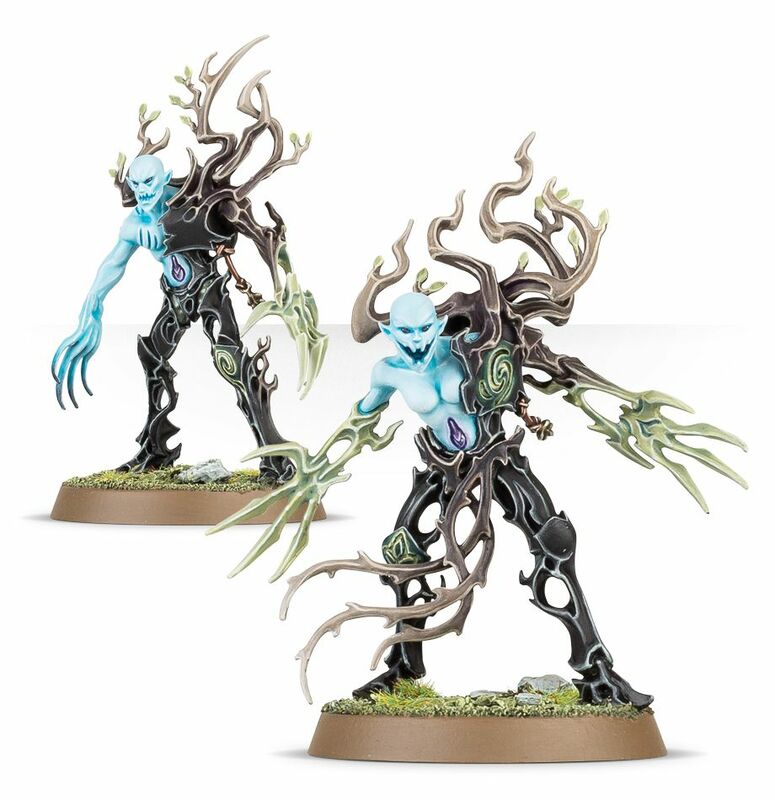 This is a dual kit that can be assembled as either Tree-Revenants or Spite-Revenants. The kit costs £22.50 and can be ordered here. 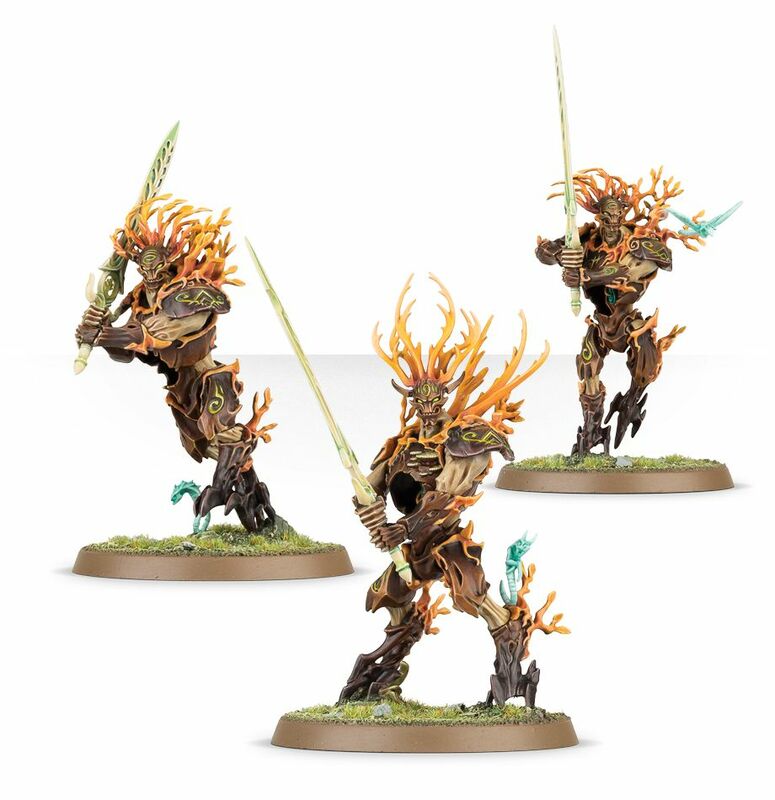 You can download the Tree-Revenants Warscroll here and the Spite-Revenants Warscroll here. 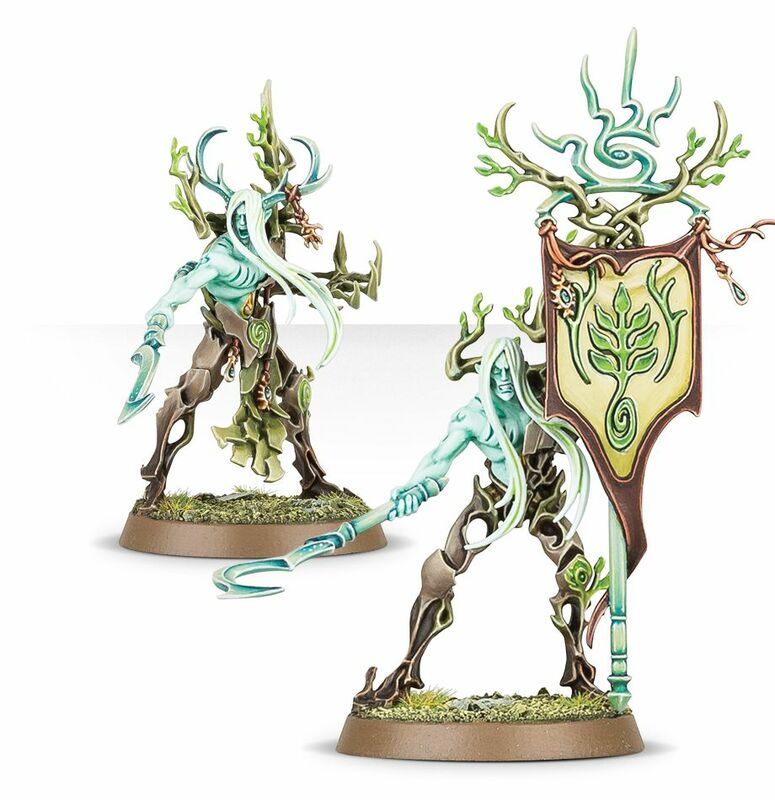 Tree-Revenants ensure that the realm of the Sylvaneth remains safe and protected. 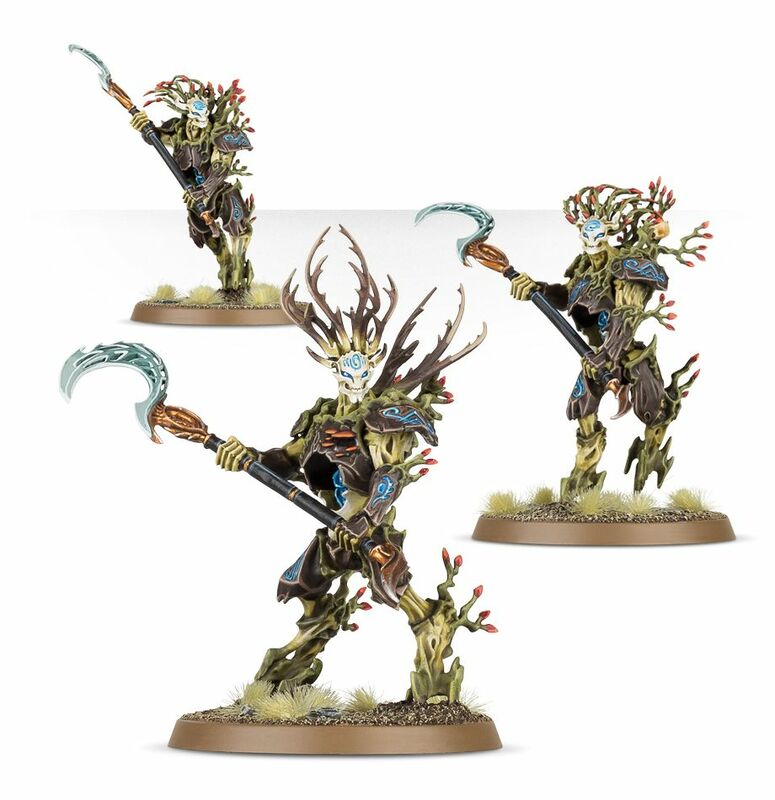 This kit makes 5 Tree-Revenants which can be armed with a variety of enchanted blades (swords, scythes, an axe and a pick are included.) 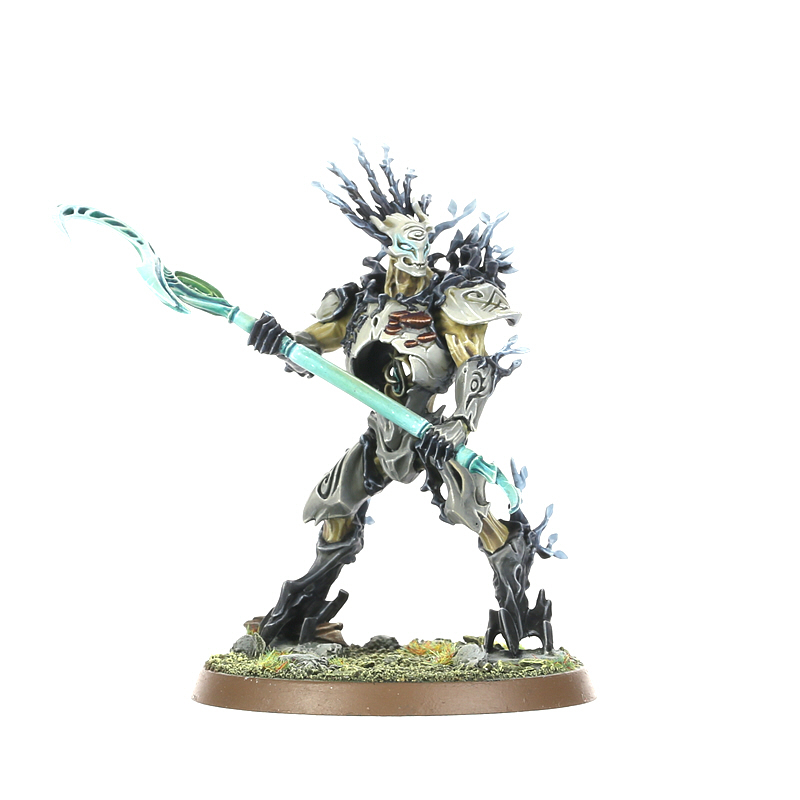 One model can be a Scion, with a Protector Glaive and another a wielding a Glade Banner, as well as the option for one to wield Waypipes. The kit comes with five 32mm Round bases. The Spite-Revenants are savage and feral, with madness burning in their eyes. 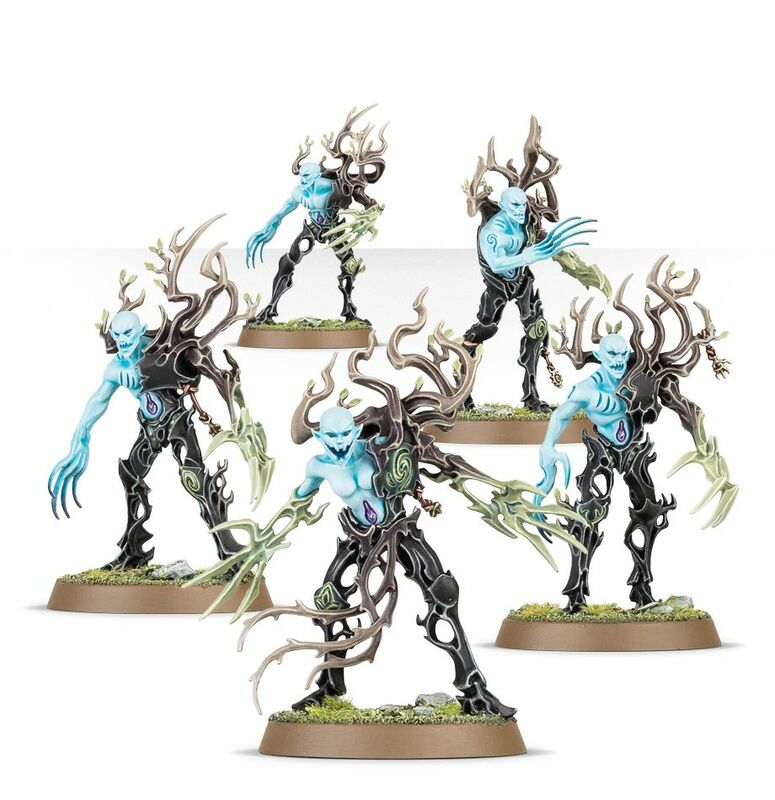 The kit makes five Spite-Revenants wielding cruel talons and fangs. Options are included to make a Shadestalker, with a unique head and torso assembly. The kit comes with five 32mm Round bases. 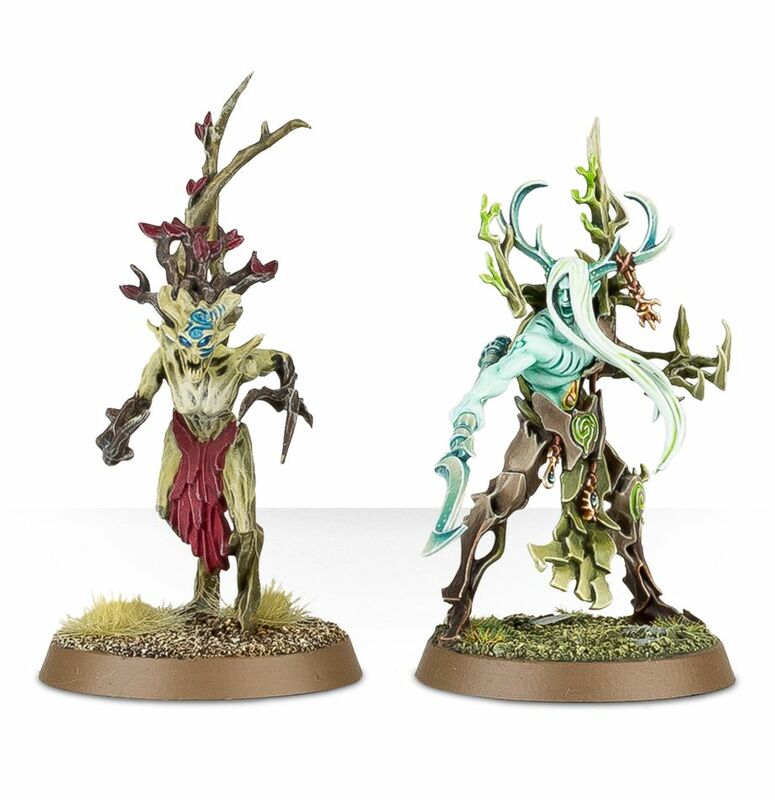 The Branchwyches make the commanders and sorcerous advisors of the Sylvaneth amries. Bittergrubs accompany tge Branchwyches and these creatures easily cut through flesh and bone with their powerful jaws. 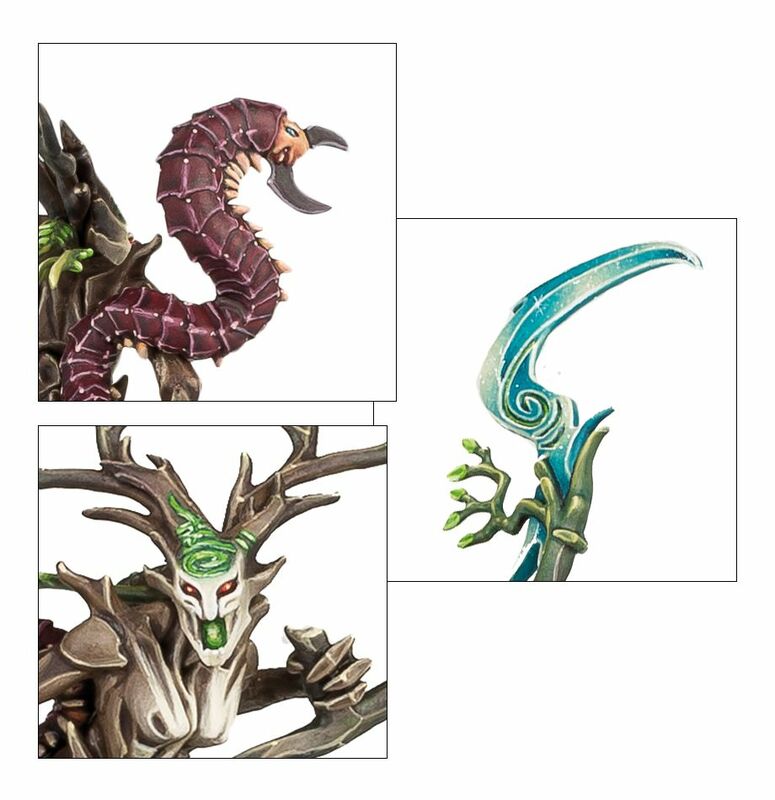 The kit makes one Branchwych, wielding a Greenwood Scythe and accompanied by a Bittergrub. It comes with one 32mm Round base. The kit costs £14 and can be ordered here.